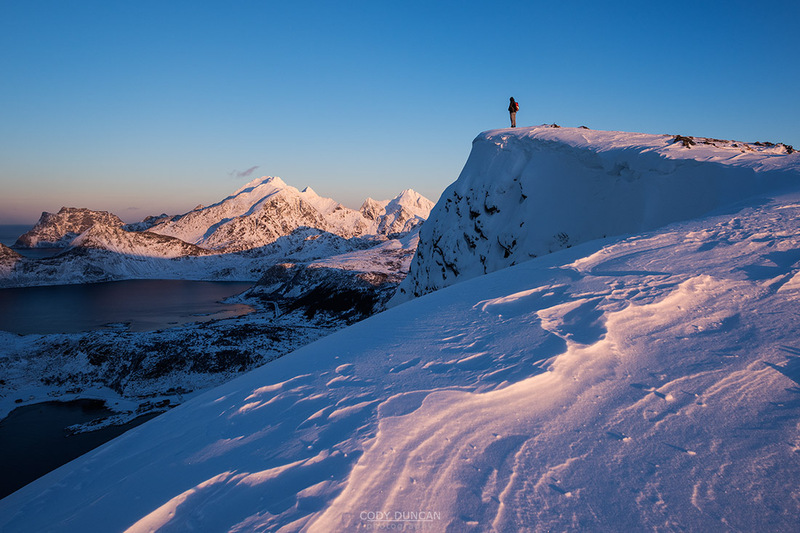 Due to Lofoten’s growing popularity as a winter photography and travel destination over the last couple years, I have been receiving an increasing amount of emails asking about winter mountain hikes. This to be expected, as more and more of the ‘easy’ roadside views are becoming almost common scenes on the popular photo sharing sites, causing many people to search for winter views among more scenic and difficult to reach locations across the Islands. 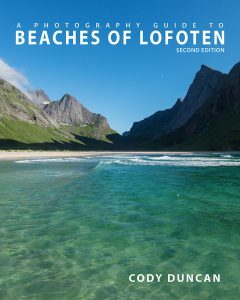 The following is my attempt to bring a bit of clarity to the winter situation on Lofoten. 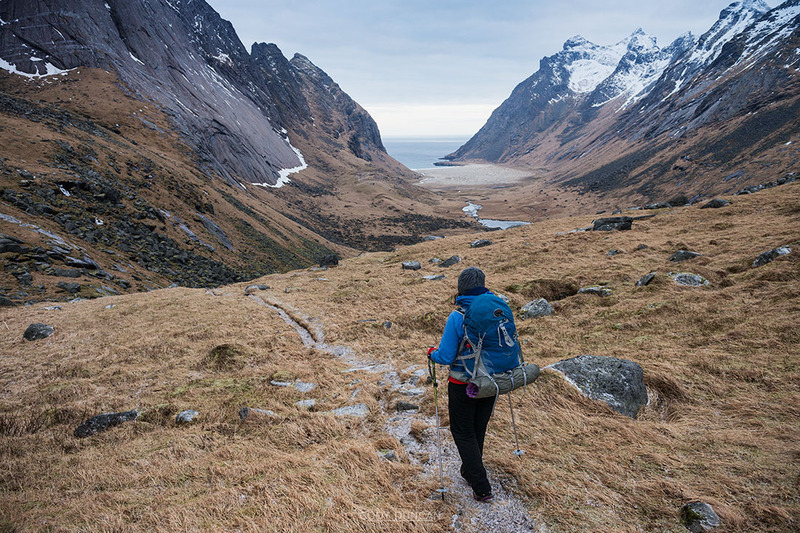 I will do my best not to sound too negative and shout, ‘Yer gonna die!’ But winter hiking on Lofoten can be a serious undertaking, so you need to make sure you’re experienced and prepared, something in which I cannot tell you. 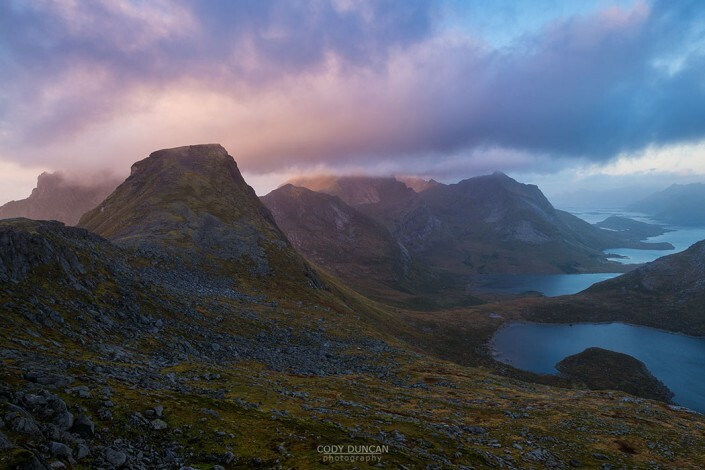 If there is one constant about Lofoten’s weather, it is the changeable nature of the conditions. 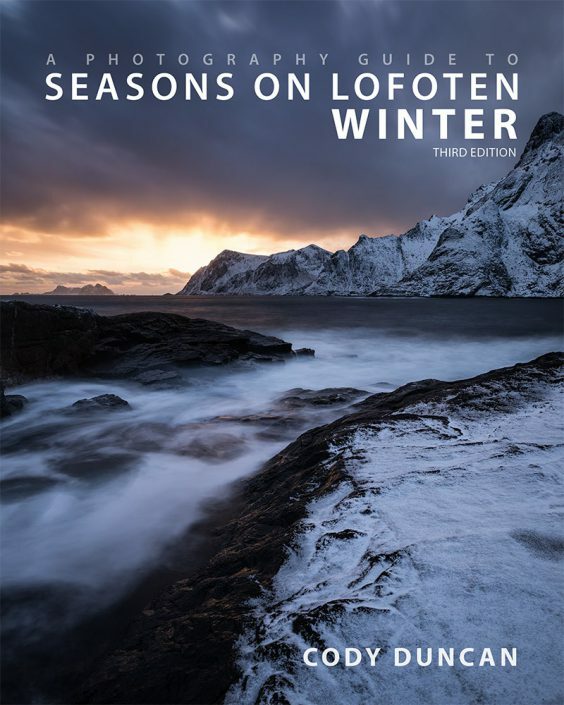 Unlike what we might typically think of as winter conditions in the bigger mountain ranges of Europe, or simply a bit across the border into Sweden, winter on Lofoten can describe a large variety of conditions. When I’m asked about winter, I cannot predict what will exist in 3-4 days, much less 3-4 weeks. On Monday, there can be 50 centimetres of fresh snow all the way to the sea, by Thursday, the snow line can have risen 200+ meters up the mountains, leaving boggy and icy conditions on any ground below. 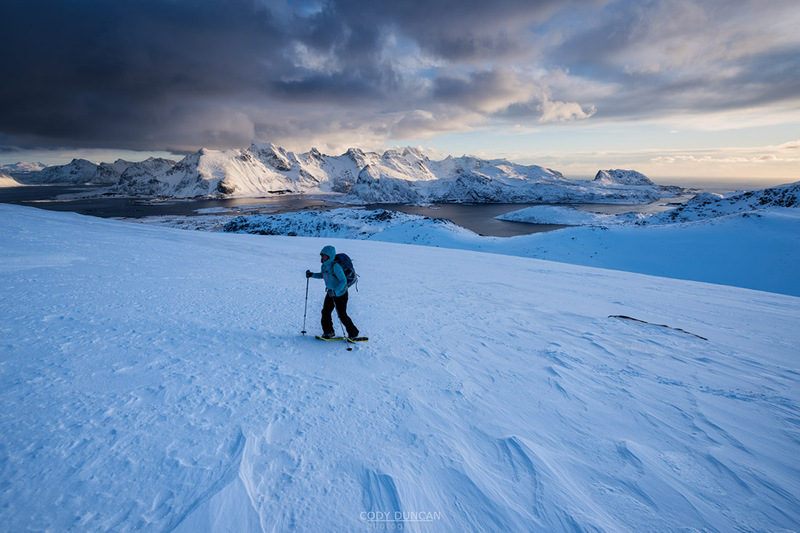 It can rain for 2 weeks in February, leaving the higher mountains with a hard, icy layer of snow, until a cold storm arrives and fresh powder is dumped across the Islands. Any steep mountain, like Reinebringen, with high avalanche danger will now be a dangerous place to venture. A light dusting of snow might be no trouble for the relatively easy approach to Bunes beach. However, for the boulder strewn trail to Horseid beach, often with many ice flows, a simple slip into a hidden hole or icy rock can easily result in a sprained/broken ankle. You also need to be aware of objective hazards. Does the route have avalanche potential? Have you checked the avalanche forecast for Lofoten? (You can do so HERE). What is under the snow? Are there slabs of rock that won’t be visible along the route, until you have taken a step and slipped? Is there a layer of ice hidden under the snow? Are there boulder fields to cross? And more. What might be low to moderate winds along the coast and in the villages, can often be winds that you can barely stand up in once on a peak. Do you know the wind direction of the forecast you are checking, and how the location you are checking is affected? A north wind might not show as very strong in Leknes or Ramberg because they are protected by mountains, but you will sure feel it high up on Ryten. And more than just checking the weather forecast once you arrive on Lofoten, you should be keeping an eye on things during the weeks before your trip. You need to know what the snow conditions have been like, and what is expected to come. 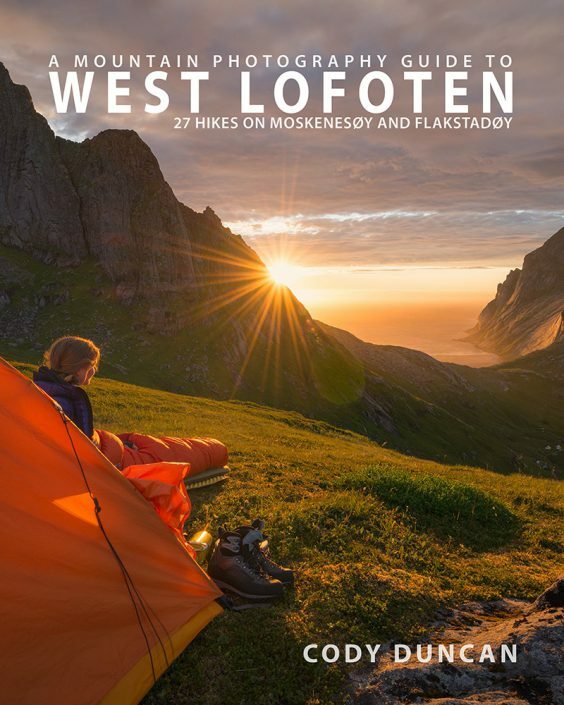 While the mountains of Lofoten have a wonderful appeal, especially for us photographers, many of the routes are not beginner hikes, even in summer. 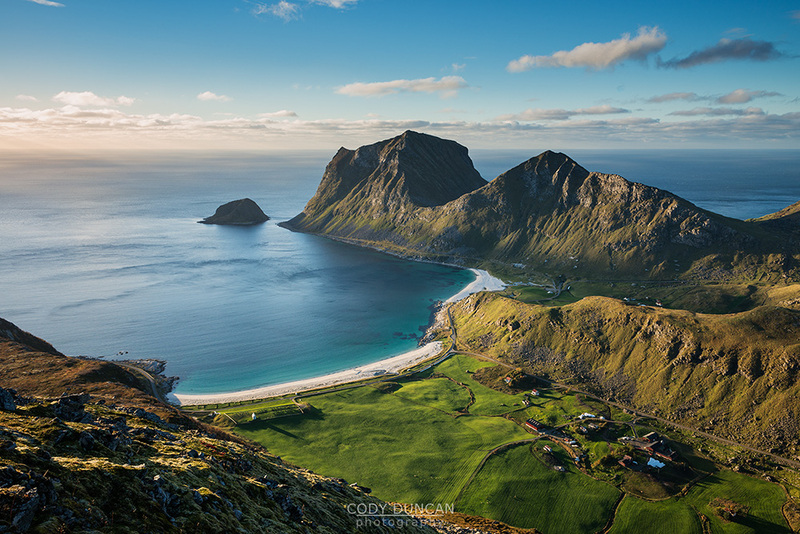 With the relatively low elevations of Lofoten’s mountains, there can be a false sense of simplicity when just looking at the numbers. I mean, how hard can a 400-500 meter peak really be? Hard! Have you hiked in Lofoten before? 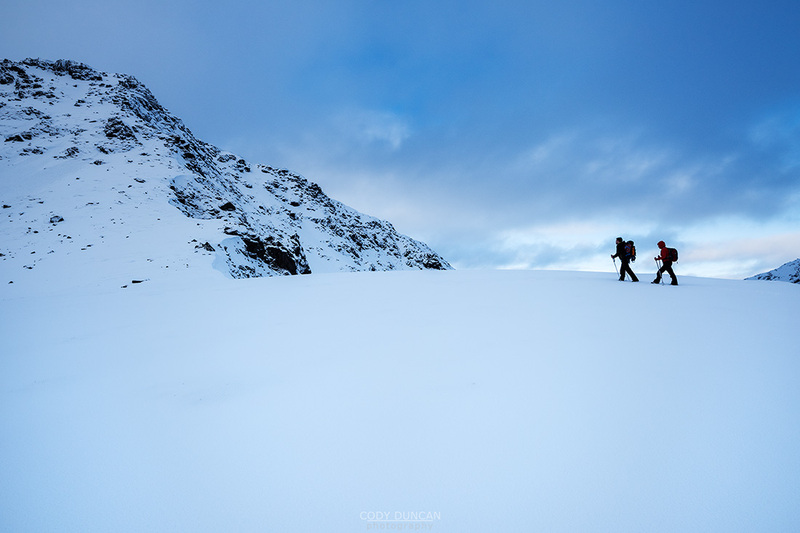 Have you hiked anywhere in winter before? Can you read snow conditions? Can you read a map? What if clouds descend and you cannot see? 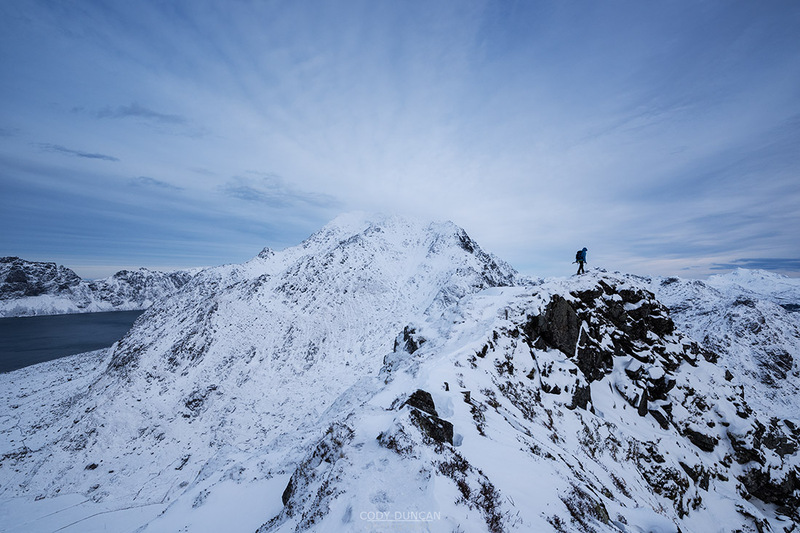 Can you follow a route covered by snow? 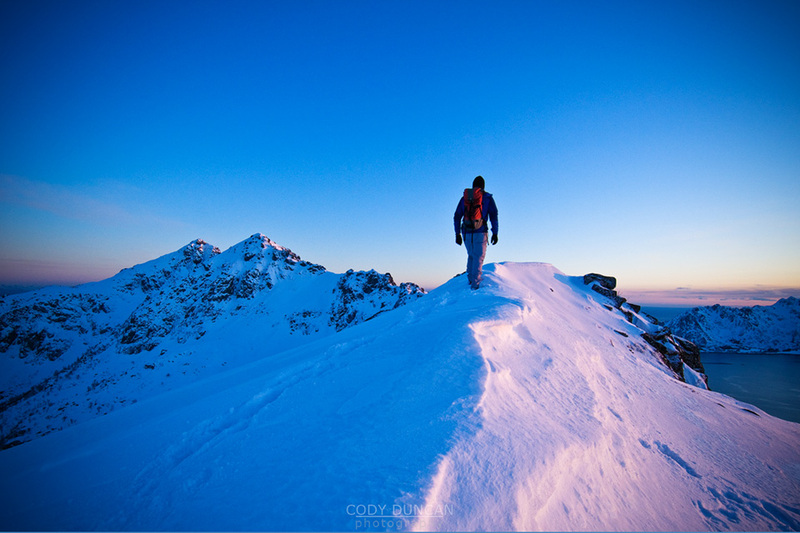 Do you know not to walk out on a cornice to get that better view? Will you know when to turn around and not be led on by summit fever? Are you fit enough to move quickly in the short winter days? As mentioned above, the mountain conditions often change on a daily basis. 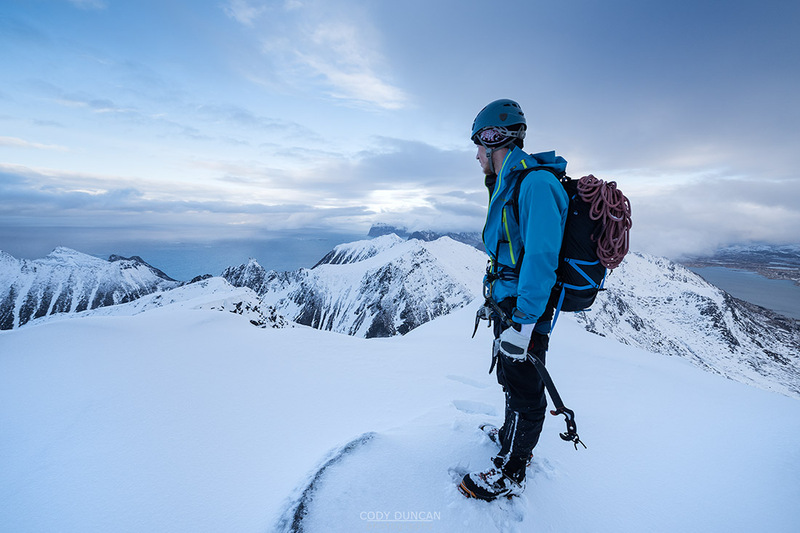 Do you have snowshoes, crampons, and an ice axe? Again, on Monday, the route might be icy and require crampons and an ice axe to safely negotiate any steep sections, while on Wednesday, snowshoes and trekking poles might be a better choice for traveling across 5km of thigh deep snow. Or if you’re lucky, you can hike the route in trail runners and a t-shirt. The beauty of winter’s snow covered mountains also means any trails or route markers are likely hidden as well. Aside from some of the mountains used by the locals on a regular basis, you need to be prepared to make your own route. 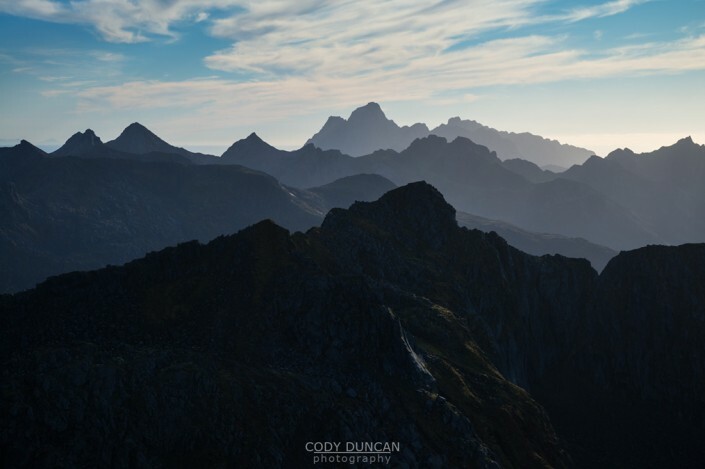 Some mountains might be more difficult mostly due to their distance from the road, rather than any objective or technical difficulties. Ryten, when approached from Indresand, doesn’t present too many technical difficulties. But the route is a bit on the longer side and with deep snow you will likely need snowshoes. 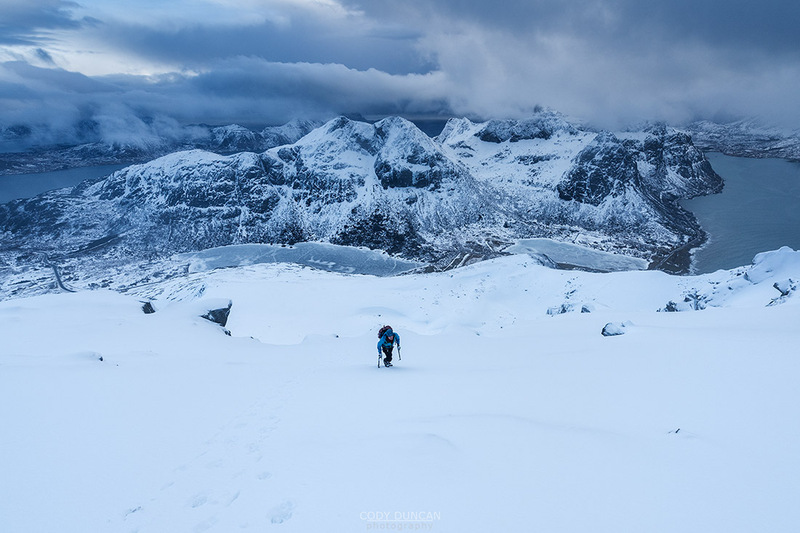 The last 200 meters to the summit can often be icy and slippery due to the near constant wind, but the route is never too steep. Reinebringen goes straight up from the road. And if you slip and fall at 400 meters, you will likely not stop until you are back at the road again. There are rock slabs hidden under the snow, which often hide a layer of ice. Avalanches are common on the upper slopes after a fresh snow fall. This is an objectively dangerous mountain in normal winter conditions. There’s an old, and somewhat pessimistic saying in the climbing/mountaineering world: If you have to ask, you probably shouldn’t do it. While I think this is a bit of a tough standard, and it’s always useful to inquire about current conditions, there is also some truth to it. 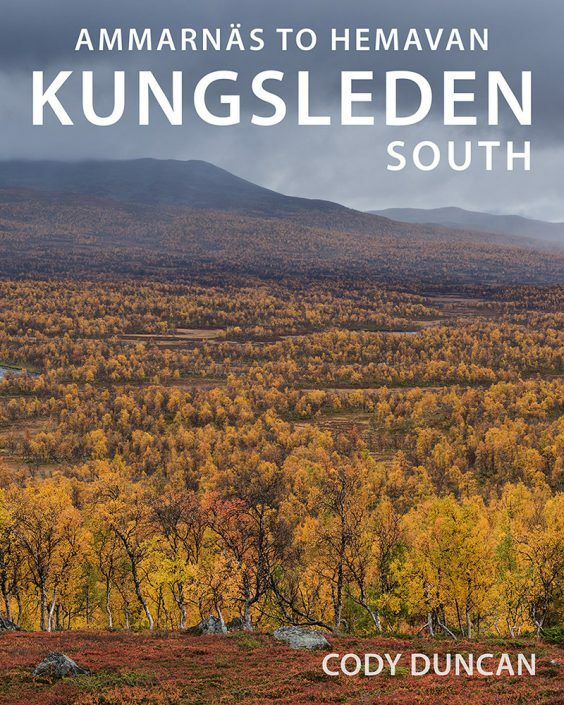 On the MOUNTAIN HIKING GUIDE section of this website I have provided the summer/autumn routes for numerous mountains. While I don’t go into any winter specific details, the descriptions are accurate enough for you to get an overview of what the hike will be like in winter. If you’re looking for some specific detail about a route, then this is a legitimate question that I’m happy to answer – if I’ve also hiked the route in winter. 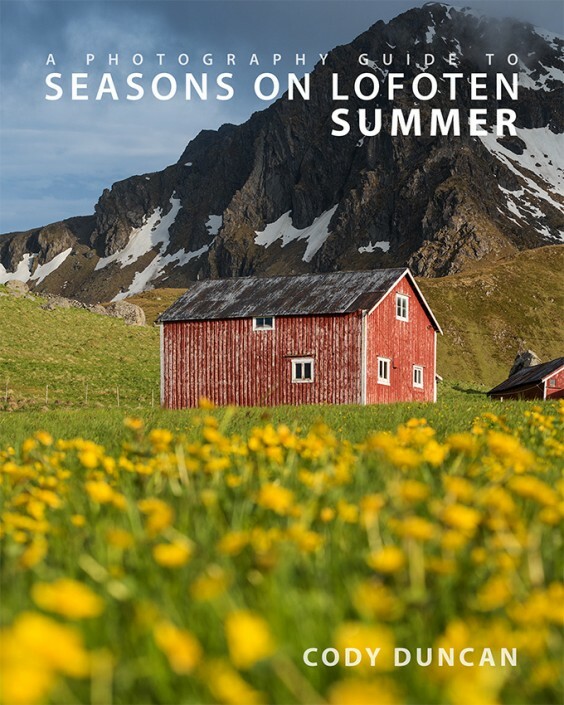 But if you are unable to pick out some hikes off the list for your skill level, then I’m sorry, but you should probably get a bit more experience before heading to Lofoten in winter. 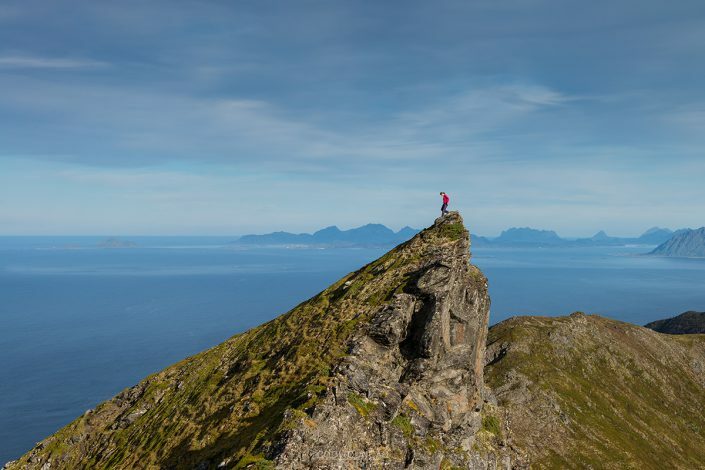 There are several mountain guide services available on Lofoten. 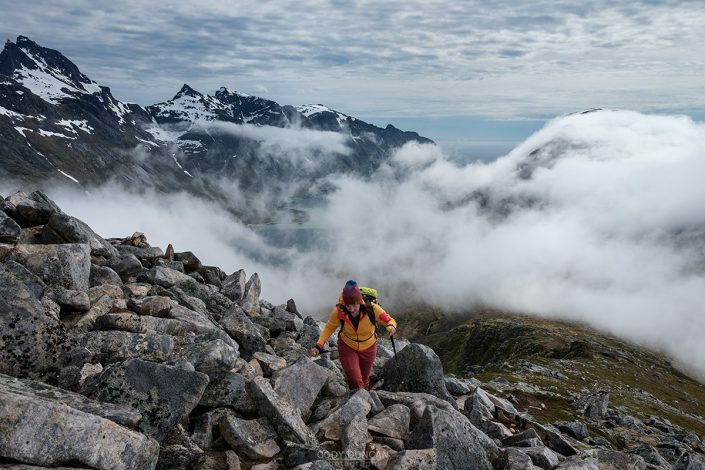 While they are mostly oriented towards ski mountaineering and climbing, perhaps they will also offer snowshoe or other hiking trips upon request. There are also several companies offering hiking tours:I have met the guides from Exploranor a French/Norwegian based guiding company offering winter hiking tours on Lofoten.